Are you currently searching for a new backpack? Or suitcase? Or maybe you still haven’t decided what type of travel luggage would suit your needs the best? No matter the answer, I’m still sure that all of you will find this guide useful. Because here we both answer the question – how to choose luggage – and talk about 13 different types of travel bags. Not only we compare these bags, but here you will also find our recommendations as to which exactly suitcase, backpack or duffel bag to buy. One of the reasons we’ve created this luggage buying guide is our personal experience. We know very well, how it feels when you can’t find the right type of luggage for travel. 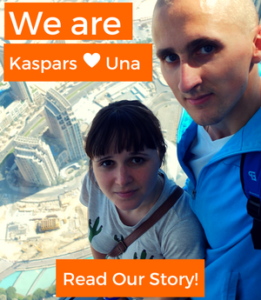 When we first started to travel we did it with cheap backpacks and duffel bags. We didn’t know anything about luggage, what to choose and what are the options. Fast forward 7 years (traveling extensively), and we have understood that there’s a perfect bag for each traveler and every trip. But there’s no one perfect travel bag that will suit everyone. Every person is different, and people have different travel styles. Ok, enough about us. Let’s jump right into the guide. Let’s find the best travel luggage for your needs! 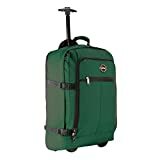 How to Choose Luggage? How to Choose the Right Travel Luggage? Is it for travel or commute? Or is it for weekend trips only? While you need a large bag for an overseas holiday, you don’t have to buy a big bag for work. A regular backpack or a laptop backpack will suffice. Another good option is an anti-theft bag which will help you to keep your electronics and documents safe. The most popular travel bags are suitcases and backpacks. Invest in quality luggage if you are traveling often, at least 2 – 3 times a year. Quality doesn’t necessarily mean that the bag is going to be super expensive. There are brands that offer moderately priced bags. 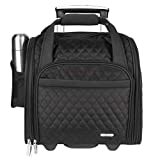 Well, actually you can travel everywhere with any travel bag but for your own comfort it is advisable to get a bag that is suitable for your trip. 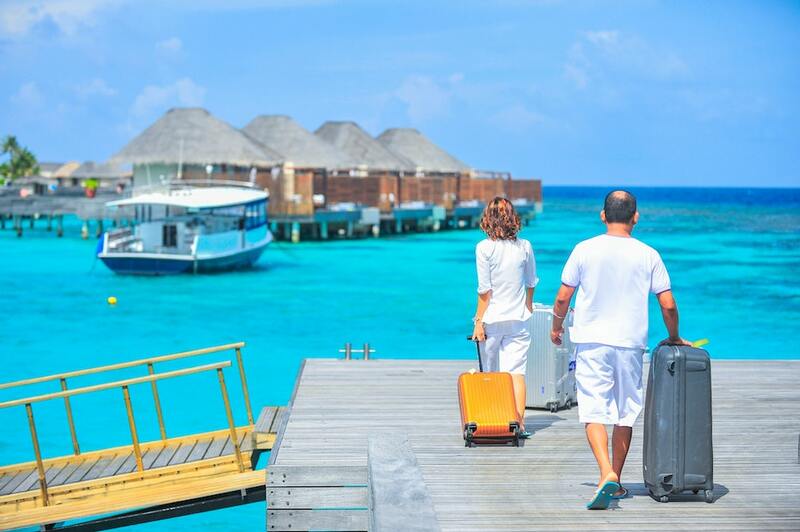 For instance, a suitcase will be the best choice for leisure travelers who stay in one or two places during their holiday. As well as for those who are mostly traveling around using taxi or private transportation. A backpack will be a much better choice for those who love adventure travel and move around a lot. A duffel bag will be a good choice for adventure travelers who carry a lot of gear and travel around by a car. If you are going on a short trip think of getting yourself a small bag, like a carry on backpack or a carry on suitcase. If you are a minimalist traveler going on a short trip travel with an under-the-seat suitcase. It’s the perfect choice – it’s small, lightweight, and fits under an airplane’s seat. If you’ll be going on a longer trip, remember two things – you can buy (almost) everything (almost) everywhere and you need less than you think you need. So, say no to “what if” items and travel lighter. If you’re going on a hiking or backpacking adventure, don’t forget that everything you’ll pack in your bag you will need to carry on your back. Now let’s talk more about each luggage type. 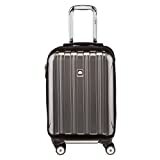 A suitcase is a rectangular travel bag on wheels. There are several types of suitcases. Suitcases can be hardside or softside. Also they can be 2-wheel or 4-wheel (spinner). Some of the best suitcases are 8-wheel, which actually are 4 dual wheels. This kind of luggage is more stable and less prone to fall into a crack. Also 8 wheel luggage lasts longer as it has more wheels. That means – less load per wheel. The most popular, however, are 4 wheel suitcases. They are decently priced and very common. Some suitcases are expendable. Some suitcases are hybrid – resembling a backpack or a duffel bag. This means such suitcases have some of the most useful features of a backpack or a duffel bag. Usually there are several sizes of one suitcase model. Also some brands sell their luggage in sets. A carry on, or a cabin bag, is a bag a traveler is allowed to take on board free of charge instead of putting it in hold (cargo). 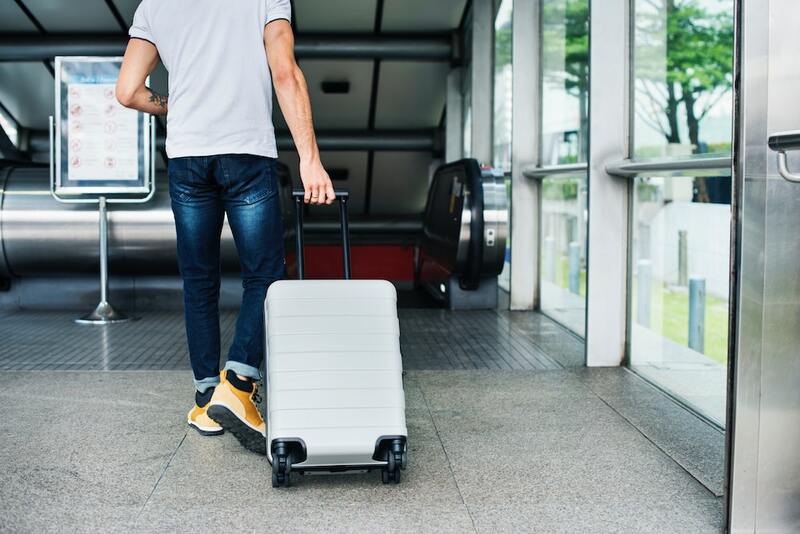 So, a carry on suitcase is a relatively small suitcase that you are allowed to take on board as long as it is within weight and size limits. Unfortunately, the baggage rules differ from airline to airline. There is no one standard rule. Some airlines have very strict baggage rules (especially budget airlines, like Ryanair and Wizzair) while others allow passengers to take a reasonable sized bag + a personal item / handbag (e.g., Norwegian). Best for: short trip, business trip, vacation (depends on your packing skills). Carry on backpacks are relatively small backpacks that meet the airline carry-on standards. A carry on backpack usually is a 30-45 liter backpack. However, you can also use a bigger backpack as a carry on unless it has a hard frame that can’t be squeezed to make it smaller. 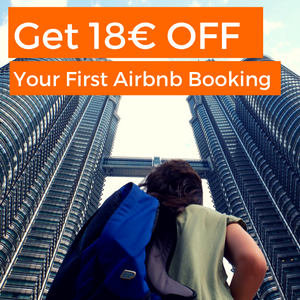 Best for: backpacking, minimalist traveler, short trip. A wheeled backpack is a versatile, hybrid backpack with some features of a suitcase, such as wheels and a retractable handle. It can be used either as a suitcase, or carried around on your back as a backpack. Usually the bottom part of the shoulder straps is detachable, so they can be tucked in a special compartment at the back of the backpack, when you want to use it as a suitcase. Best for: college, occasional traveler, backpacking with kids. 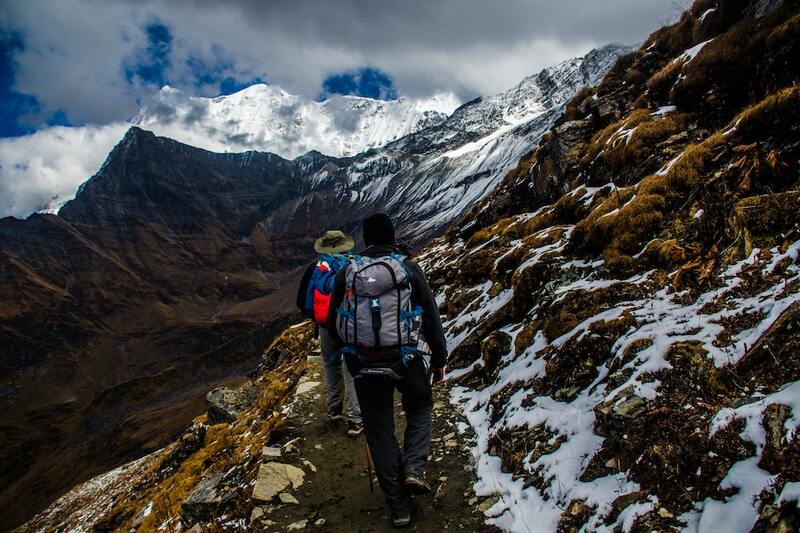 Hiking backpacks are spacious backpacks of different sizes. The best hiking backpacks feature good padding and exceptional harness system that minimizes the pressure on your shoulders and back. Thanks to the padded and sturdy hip belt the weight and pressure is of the backpack is balanced out, and some of the weight is put on your hips. It doesn’t make the backpack weightless but it makes it feel considerably lighter, thus making your trip as easy as possible. Best for: hiking and backpacking. Underseat carry on bags are small suitcases that can fit under the seat in front of you. As these bags are really small they are perfect as a personal item or as weekend bags. If you are a minimalist traveler, you might even take it on a week long trip. Why take a full size carry on suitcase when it’s enough with a small suitcase that can fit under a seat? Best for: minimalist traveler, weekend trips, carry on. Travel duffel bags are durable bags for adventure travel. The best duffel bags are made of durable and weather resistant materials, such as laminated or coated water repellent fabric. These bags are often versatile – they also feature shoulder straps, so they can be used as a backpack and duffel bag. The best duffel bags have heavy duty lash points that can be used to tie the bag down to a roof rack. Also most duffel bags have separate compartments for dirty clothing and gear. The ones above aren’t the only types of travel bags. There are also other types of travel bags which aren’t really designed to be your main luggage. They are useful for some purposes but you can manage just fine without these. A packable daypack is a small to medium sized backpack that can be folded and packet into itself. These backpacks are made of thin and lightweight (yet durable) material and has little to no padding on the shoulder straps. Thus, they can be easily folded and packed, and don’t take up much space in your main luggage. Many experienced travelers take with them a packable daypack in case they decide to bring gifts and souvenirs to their families and there’s no more space left in the luggage. Also a daypack is great for day trips and sightseeing. There’s no need to unpack the large backpack (in case one is traveling with a backpack) and take it on day trips. Unpack the daypack and take it instead! A packable duffel bag is foldable duffel bag, made of the same thin material, just like a packable daypack. It’s not meant to be used as a bag for heavy adventure gear since it’s not heavy duty. It can be used as an extra bag, in case you don’t have any more free space left in your main luggage. 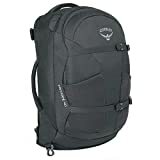 An anti-theft backpack is a regular looking backpack with a few anti-theft features and devices that will keep your belongings safe during a trip or your daily commute. 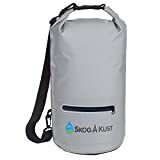 This kind of backpack is especially useful in crowded places such as busses, trains, shopping malls, public transportation stops, markets, festivals, museums and so on where the risk of being pickpocketed is higher. 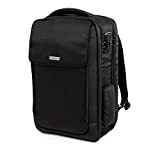 Some of the best anti-theft backpacks have separate, padded laptop compartment or sleeve. These are sturdy backpacks designed for carrying a laptop and other electronics. These kind of backpacks have separate padded compartments for a laptop and a tablet computer. Also they have padded sides and back to ensure that your electronics and cables won’t get crushed. There are also small organizational pockets (or, organizational panel). And some of the best laptop backpacks also have a USB port for charging your device (power bank is not included). Most laptop backpacks are designed so that you can also fit a change of clothes in it. Regular duffel bags are not as durable as travel duffel bags, and they usually are smaller in size. They don’t have such useful features as travel duffel bags. Another drawback is that a regular duffel bag can’t be worn comfortably in a backpack mode because the top handles usually are not padded well enough. The fabric of a regular duffel bag often is not water and tear resistant. Dry bag is a waterproof flexible container for keeping your belongings, such as electronics and clothes, dry. All dry bags are roll top. When closed these bags are watertight, and some – airtight. When traveling in the tropics we are using dry bag as a daypack. Because there you never know, when it may rain. At the same time it makes you much more flexible and you’re ready for all kind of adventures. Because of all of your belongings are safely stored in a dust, sand and element-proof bag. What kind of traveler are you? What type of luggage do you prefer?